2012 Peugeot Vivacity Electric. Picture credits - Peugeot. Submit more pictures. Nowadays, increasing public awareness, changing life styles and a favourable media response render the market more receptive to green solutions, resulting in a new approach to urban mobility. It is in this context that Peugeot Motocycles unveils E-Vivacity, the ultimate eco-citizen scooter. Comments: Lithium Ion Cobalt battery. 1,000 intensive charging/discharging cycles without any harm and without a memory effect. Operating range of 80 km to 100 km. Charge with a 230 V - 16 A domestic socket. Ask questions Join the 12 Peugeot Vivacity Electric discussion group or the general Peugeot discussion group. 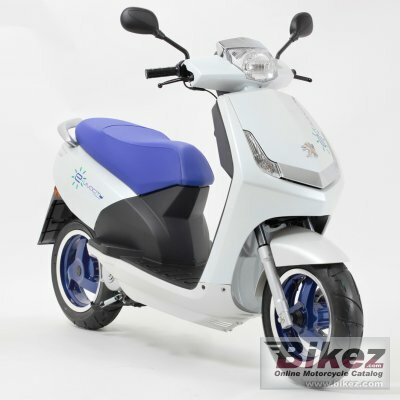 Click here to sell a used 2012 Peugeot Vivacity Electric or advertise any other MC for sale. You can list all available Peugeot Vivacity Electric bikes and also sign up for e-mail notification when such motorcycles are advertised in the future. Ads with or without pictures are easy to create. Our classifieds are completely free with sections for every country in the world. You can also check out our list of related motorbikes. Compare technical data. Look at photos. View your fellow riders' rating of the bike's reliability, design, engine performance, accident risk, repair cost, etc.